← Groceries in the Dirt! 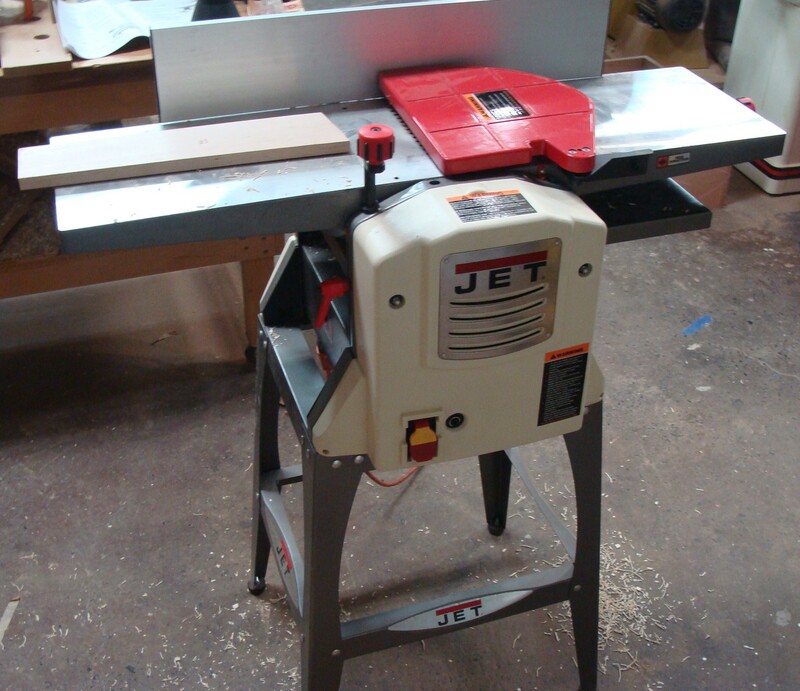 Jet and Woodcraft asked if I would test drive the Jointer/Planer Combo Unit. I got it in and put together, only made a couple runs thru with it but I like what I see thus far. I like the size, height, safety features, seems well powered… This one is a 10″, straight knives, no helical, but it did a nice job on some curly cherry and tiger maple. I can see where this unit would be real popular with hobby guys or those with small shops. It set up quick. I was amazed at the accuracy for having shorter infeed/outfeed, but I will have more time to “check it out” later. Been wrapping up a ton of loose ends, nothing specific, and just sorta taking it a bit easy. Recharging, if you will, and working on a few long overdue internet things. It’s sort of been a spring cleaning, getting all the “I’ll do that tomorrow” stuff out of my way. I’m glad they’re about done, and so now I can get back in the groove and running again. That’s hard, when it’s spring. We are supposed to have temps in the 80’s this weekend. I could use a shot of that. Ok guys, got to go clean up the sawdust pile I got out back. (Good mulch, no walnut). 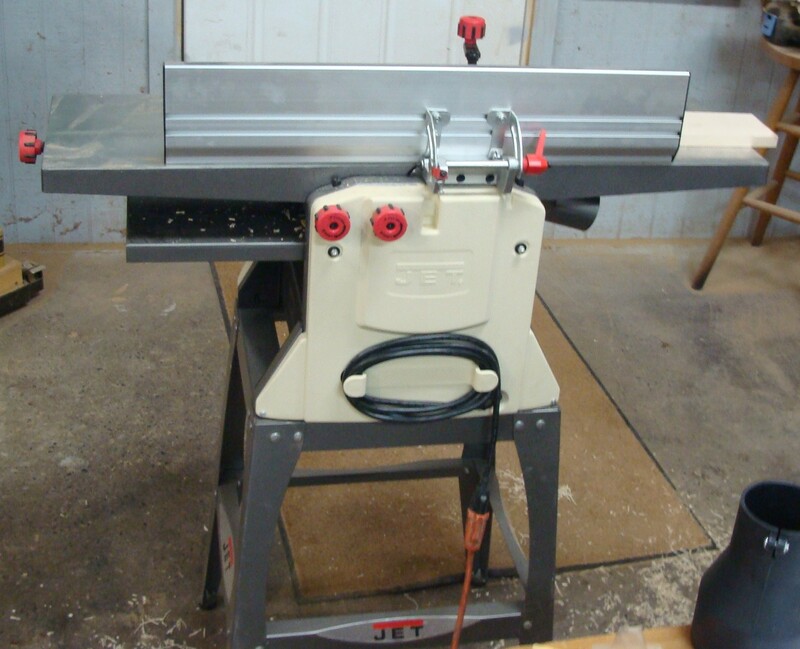 This entry was posted in Tools and Equipment, Uncategorized and tagged jointer, planer, woodcraft. Bookmark the permalink. Wow that must be a super good unit. Figured woods and no chipout? Did you wet the wood first? About your sawdust pile and walnut . . . I’m new to this and starting to save sawdust for mulch. Is walnut bad mulch? Is it because things like tomatoes won’t grow near walnut? What would it do to azaleas, I wonder. Any thoughts? Looks like walnut is bad for some plants, OK for others, and a lot of it depends on the soil. I have no experience with it either way. From what that page says it doesn’t do well for a lot of plants and when it comes to “depends on the soil” it means I’d stay away as there’s too much variability there to get consistent results.